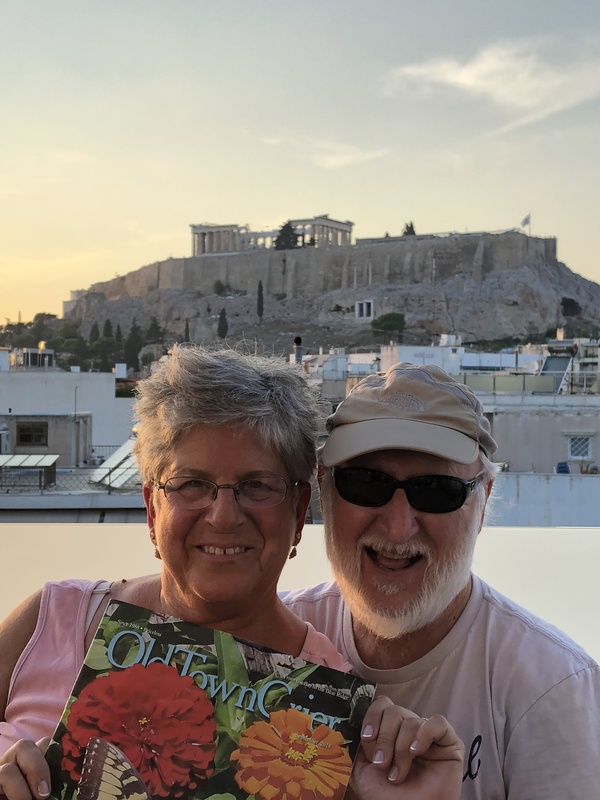 Cathy with a “C” and her husband Brad Bradford, longtime friends and clients (they are the proprietors of the popular King’s Jewelry in the heart of Old Town Alexandria) of the OTC took a few minutes out of their fabulous trip to Athens, Greece to snap this picture of them with the October issue. This is the view from their balcony that they woke up to each morning – the Parthenon on the Acropolis hill. 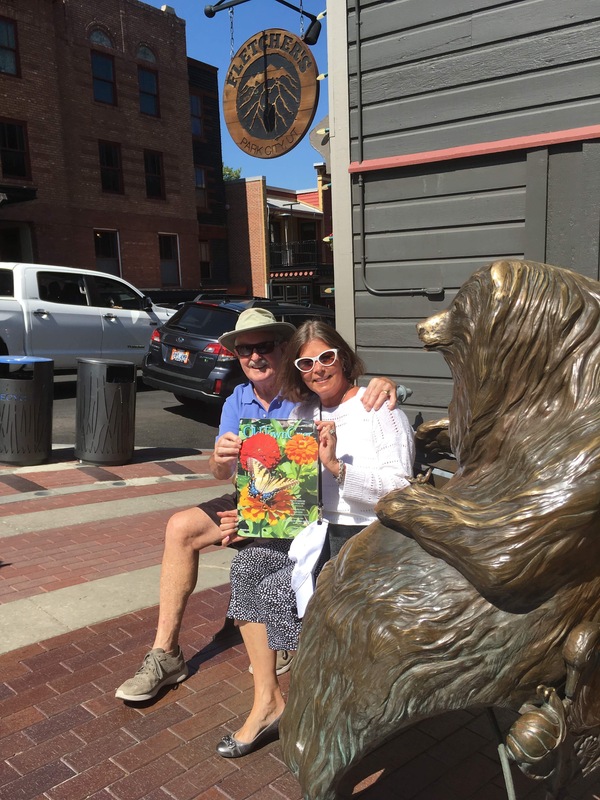 Kathy with a “K” and her husband Bob Condon, also longtime friends of the OTC and occasional partners in crime, stayed on USA soil and took the October issue to Park City, Utah where they have family. Looks like they snuck away to get their “bearings” before heading to Fletchers for some of Park City’s popular cuisine.